Banners, Flags and Tradeshow Displays. Free Shipping Worldwide! 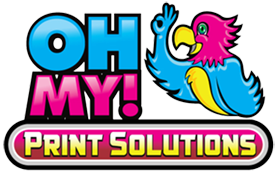 Oh my Print Solutions has been working with the events industry for a very long time and we understand that your festival, concert etc has a budget. Nowadays it’s tough to stick to it! Stageline mobile stages are very popular across North America as there are several staging and Audio/Visual companies that supply them as an economical way to quickly and easily set up a stage of virtually any size. We can print a variety of sizes of Vinyl Mesh Banners for any size stage. We can assist you with the specific size you need. Regardless if you require the SL50, SL100, SL260, SL320 or others we’ve got you covered. Festival and concert promoters are often surprised at the large expense banners can be. We’d like to help you reduce those costs! You will get preferred pricing from us when your banners are for Stagline Mobile Stages. We will happily ship for free anywhere in North America. In fact, several staging AV companies and print shops purchase from Oh my Print Solutions. So as a way to re-sell banner printing to the end client. They are actually able to sell to their clients at a lower rate than their clients could find elsewhere. This is mainly because of our wholesale pricing structure. We typically use Vinyl Mesh banners or Fabric Mesh Banners as they are perfect for windy conditions. For your concert, we have several items including custom printed flags, several sizes of pop up canopy tents as well as Step and Repeat Banners for photo ops! Contact us for more info for banners that will work on Stageline Stages. We’d be so happy to hear from you! *Note: Oh My Print Solutions is in no way affiliated with Stagline Mobile Stages. We just really enjoy supplying banners for their amazing stages! ← Step and Repeat Backdrops – What’s best for you? © 2013 - 2018 - All Rights Reserved - Oh my Print Solutions Inc.